More and more literature are investigating the energy efficiency performance at provincial level. However, there are many problems in provincial energy balances in the officially released yearbooks, such as inconsistencies of statistical scope, the large gap between national data and sum of provincial data, and nontransparent data revision. Using yearbook data directly may result in errors and even some contradictory-to-actuality conclusions. Given this, based on the national economic census, this paper systematically revises and adjusts the 1995–2014 energy balances at province level. 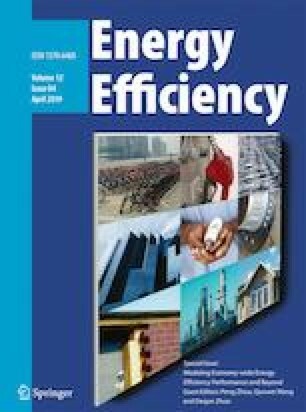 A four-dimension (province, year, sector, and energy type) energy dataset is constructed, which supports the structural energy efficiency research at provincial level. We thank the supports from National Natural Science Foundation of China (Nos. 71322306, 71273027, 71521002, 71673026, 71642004), China’s National Key R&D Program (2016YFA0602801), Joint Development Program of Beijing Municipal Commission of Education, and Fok Ying Tung Education Foundation. The views expressed in this paper are solely authors’ own and do not necessarily reflect the views of the supporting agencies and authors’ affiliations.